At Brummett and Tallent Cosmetic and Family Dental, we have provided countless clients with affordable access to quality dental services with a personal touch. In fact, we have been known as cosmetic and family dentistry specialists who treat clients like a family. Our level of client service is considered by past and present clients as nothing but outstanding. We are not only providing this kind of service to Albany, Monticello, and Somerset clients but also to patients coming from nearby cities in the state. Let us prove this to you firsthand by availing any of our dental care and treatment services. Cosmetic dentistry. Here, we focus on improving the appearance of teeth and gums so clients can talk and smile with confidence. Among the services that we offer under cosmetic dentistry are crowns and veneers, dentures and partials, implants, and fillings. We also specialize in installing Invisalign, an innovative aligner that helps correct teeth alignment without the discomfort of traditional metal braces. Pediatric dentistry. Kids and adolescents require a different dental approach to fully serve their oral health requirements. Accordingly, our dentists are also trained and have keen understanding of child psychology, growth, and development, making them fully capable of performing all pediatric dentistry tasks. General dentistry. 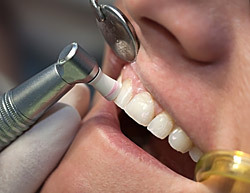 We can perform extractions, wisdom tooth removal, root canals, and teeth cleaning and whitening. All these dental services are handled by our team of dentists who have been rendering such services for decades, so clients are assured of positive results. When it comes to providing comprehensive dental services at competitive rates, we are the best persons to go to if you’re from Kentucky. As a family-run business, our aim is to serve the biggest number of families possible and ensure everyone’s oral health. We accommodate and honor over a dozen insurance providers, so clients with dental plans from these providers can get our offered services. Among others, we accept dental plan holders from Delta Dental, MetLife, Medcost, Dentemax, and Medicaid. We also provide clients with some great financing options so they can avail our dental services without worrying about shelling out money in an instant. Aside from cash, we also accept major credit cards, including Amex, MasterCard, Visa, and even Care Credit. With our flexible terms, you can get your needed dental care and treatment without stretching your budget. All of these great options are yours to enjoy when you choose Brummett and Tallent Cosmetic and Family Dental. You and your family deserve the best possible dental services that would guarantee your oral health. With a solid record of exceptional client service and compassionate and caring attitude, our dentists can surely make you feel like you’re just another family member needing expert dental care. You may visit our clinic at 108 Plaza Dr., Albany, KY, or call us at 606-557-1023. We also maintain office at Monticello with phone number 606-340-0740.